BUTUAN CITY, Dec. 8 (PIA) - Considering the vital role of the federation president of the Day Care/Child Development workers in the province of Agusan del Norte in leading the day care workers to attain their goals and objectives, the provincial government deemed it proper to provide the president with an honorarium. Under Provincial Ordinance No. 403-2015, authored by Provincial Board Member Elizabeth Marie R. Calo, the federation president of the Barangay Day Care/Child Development Workers in the province of Agusan del Norte will receive an honorarium every end of the quarter in the amount of One Thousand Pesos (P1,000.00). The federation president was also be mandated to submit an accomplishment report every end of the quarter to be submitted to the Sangguniang Panlalawigan Office through the Committee on Social Welfare and Development and the Provincial Social Welfare, Population and Nutrition Services Office (PSWPNSO). The details of the report would include the status of day care enrollees, their accomplishments, problems encountered and suggested recommendations, in aid of legislation to improve the day care system in the province. TANDAG CITY, Surigao del Sur, Dec. 8 (PIA) – The Department of Trade and Industry (DTI) here has vowed to continue to intensify their “sustained effort to protect consumers” as the holiday season gets near. 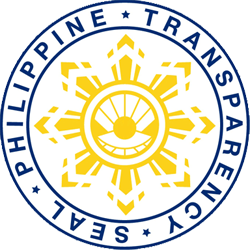 Romel Oribe, DTI provincial director, said no violation had been noted in the previous conduct of price and product monitoring so far. Manny Disca, DTI consumer welfare division chief, issued the same statement. However, Disca told media of several schedules up ahead yet to be carried out to ensure consumer welfare and protection. Prior to this, DTI here had taken a “proactive stance” even on Christmas lights and lighting chain sale, deeming it wise to send out “ICC sticker sample and list of importers with valid Import Commodity Clearance,” to retail stores in October. SURIGAO CITY, Surigao del Norte, Disyembre 8 (PIA) - Kapin sa 4,500 ka mga Barangay Health Workers (BHW) ug Barangay Health Aides (BHA) ning probinsya ang mitambong sa gipahigayong Community Health Partners' Forum ug Launching sa Hi-5 (high impact 5) program sa Department of Health (DOH) nga gipahigayon kagahapong adlawa Disyembre 7, 2015 didto sa Provincial Gymnasium, ning dakbayan. Mismo si Gobernador Sol F. Matugas maoy nanguna sa maong kalihukan kansang administrasyon naghatag gayud ug tumang importansya sa serbisyo sa panglawas sumala na sa HEALS PLUS agenda niini. SURIGAO CITY, Surigao del Norte, Dis. 8 (PIA) – Nahimong pinasidunggang mamumulong si Department of Health (DOH) Undersecretary ug Bureau of Local Health Development Director Enrique Tayag atol sa gipahigayon nga Community Health Workers Convention ug Launching sa Hi-5 (high impact 5) program sa DOH kagahapong adlawa, Disyembre 7, 2015 didto sa Provincial Gymnasium ning dakbayan. Sa iyang mensahe, si Usec Tayag nagkanayon nga, swerte gyud ang katawhang Surigaonon tungod kay gitagaan gyud og prayoridad ug importansya sa probinsya ang maayong panglawas. 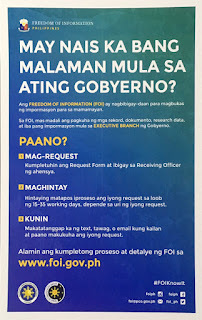 Matud pa ni Tayag nga swerte usab ang probinsya kay nakabaton kini og gobernador nga hands-on gayud pag-abot sa paghatag og serbisyo sa panglawas og gihatagan ug dakong importansya ang pagsulong sa maayong panglawas.